Check Out Our Jewelry Classes Being Offered this Fall! 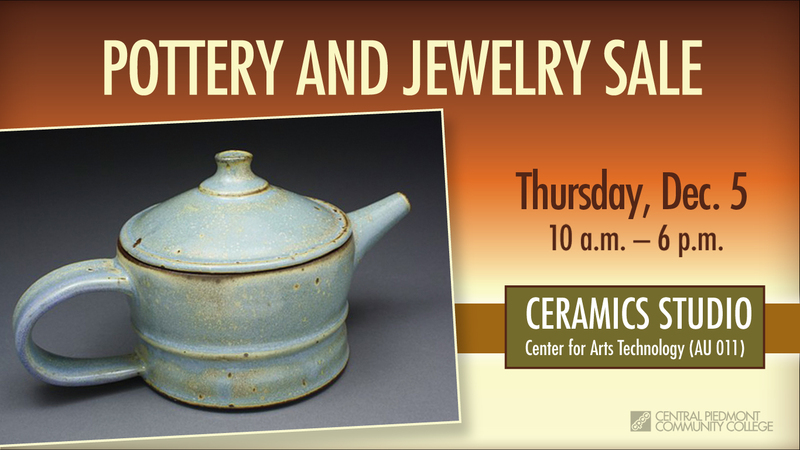 The annual CPCC holiday pottery and jewelry sale is the first Thursday of December (12/5) from 10 a.m. – 6 p.m. on Central Campus in the Center for Arts Technology Building, which is the AU011 ceramics classroom. 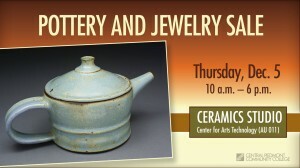 It is organized by the Clay Bodies Ceramics Club. The Jewelry Club will also have pieces for sale in the jewelry classroom next door. Both of these sales have pieces priced from $5 up and 30% of the profits help support the costs of hosting visiting artists and help purchase DVDs and periodicals for the classroom. There will be holiday snacks and beverages for all to enjoy. Please come and support the clubs and take home wonderful gifts for you and your friends.